The median home value in Los Lunas, NM is $116,800 This is lower than the county median home value of $118,900. The national median home value is $185,800. The average price of homes sold in , is $. Approximately 70.8% of Los Lunas homes are owned, compared to 19.37% rented, while 9.82% are vacant. Los Lunas real estate listings include condos, townhomes, and single family homes for sale. . Commercial properties are also available. 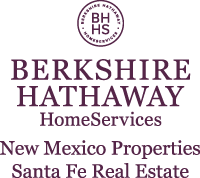 If you see a property Los Lunas real estate agent to arrange a tour today ! Learn more about Los Lunas. Prime location and close to interstate and shopping. This beautiful three bedroom, two bath home boasts new carpet, paint and range. The refrigerated air will keep you cool this summer. The kitchen has granite countertops and dark cabinetry with an open floor plan. It's a must see at a great price. Please schedule an appointment to see this beautiful home today. With its oversized back yard, upgraded flooring and ideal location this home will not last. This home has two living areas with an open loft space, vaulted ceilings in the master bedroom, and upgraded lighting fixtures in all of the rooms. The HUGE backyard has 30x30 slab ready to go for a basketball court and an additional 20x20 slab with a beautiful wooden gazebo! This home is priced to sell so don't miss out! Take advantage of the opportunity to own a previous model home for DR Horton. Many upgrades and very desirable floor plan. Home has 2 living areas, Spacious loft and Master bedroom. Due to being a model home garage is fully insulated, taped and textured, phone jacks and can be heated and cooled with existing duct work and has extra storage space. All appliances stay with home including washer and dryer. Don't miss out on this great property! Own this home in the heart of los lunas walking distance to restaurants and shops. Easy access to the freeway, updates upon updates. Newer windows, doors, wood laminate flooring, stucco, paint, granite kitchen counters, refrigerated air. Metal roof covered parking in the front and back. Fully fenced property for privacy, storage shed and room for all your cars, trucks, trailers, rvs and toys. Metal gates with block wall around, outdoor cooking space. Owner financing available! This beautiful open floorplan has new flooring & paint throughtout. Emaculant, updated and ready for you to move into. Relax on your back patio and enjoy those wonderful mountain views.Convenitntly located near I-25, shopping and schools. Appliances stay and washer and dryer are negotiable with acceptable offer. You really need to see this home to appreciate it. Make your appointment today. Check out this DR Horton Home! Master is separated from the other bedrooms, and the open floor plan is great for entertaining. This could be your new dream home! Beautiful Los Lunas home located in the highly desirable Valley View Subdivision. The spectacular entryway leads to the large living area with soaring ceilings, brick floors, custom wood work and cozy kiva fireplace. This home also features a huge downstairs Master Bedroom, separate family room, over sized garage with storage and utility sink and a bonus room that can be used as a game room, office or hobby room. Most of the windows were recently updated. There is a large island kitchen and with separate dining area. A nice sized laundry room with convenient laundry chute and built in ironing board. Enjoy the incredible VIEWS of the River Valley below from your back yard patio. Huge back yard with plenty of room to run and play, RV Parking and VIEWS, VIEWS, VIEWS. Large 3 Bedroom Home in a desired location conveniently near Freeway, Shops, Restaurants and Schools. Newer A/C, Dishwasher, Garage Door and added French Doors in Living area to access backyard. Rooms are generous in size and Master has walk-in Closet. Come see while it last! Absolutely gorgeous home! Brand new with Builder warranties. Perfect floor plan with 2 living areas and many upgrades: Beautiful glass tile kitchen backsplash, upgraded Sherwin Williams Pro-Mar 2-tone paint, Ready for you. Wonderful Jubilee amenities 55+ community with 10,000+ sq ft clubhouse w/huge great room, coffee bar, fully equipped kitchen, card hall, arts & crafts room, pub room (2 pool tables, group exercise room (yoga, zumba & more), locker rooms, lending library, and huge fitness room full of great equipment. Outdoor amenities include tennis/pickleball court, heated pool & spa. Easy access to I-25 & minutes to Albuquerque. Close to all City conveniences. Gated community! Absolutely gorgeous home! Brand new with Builder warranties. Perfect floor plan with many upgrades: Beautiful glass tile kitchen backsplash, upgraded Sherwin Williams Pro-Mar 2-tone paint, Ready for you. Wonderful Jubilee amenities 55+ community with 10,000+ sq ft clubhouse w/huge great room, coffee bar, fully equipped kitchen, card hall, arts & crafts room, pub room (2 pool tables, group exercise room (yoga, zumba & more), locker rooms, lending library, and huge fitness room full of great equipment. Outdoor amenities include tennis/pickleball court, heated pool & spa. Easy access to I-25 & minutes to Albuquerque. Close to all City conveniences. Gated community! Prime location in Rancho Valencia near interstate and shopping. This beautiful three bedroom, two bath home boasts fresh paint, new carpet and range. This open floorplan has tile in living room and kitchen and will keep you cool in the hot summer with refrigerated air. You won't be disappointed. This Beautiful home is located in a nice culdesac, very little traffic. 4 Bedrooms, and 3 full baths. Every bedroom has large walk in closets, master has his and her walk in closets. Beautiful Tile and carpet has just been cleaned, looks like new. The kitchen is very open with a large island, and large country sink, nice appliances. Huge loft that can be used for so many things. Enjoy your backyard under the Beautiful open patio. This home is close to the freeway, schools, stores and many other amenities. Call for your showing today . Huge lot with backyard access .25 acre premium lot. 5/6 bedrooms plus a loft, 3.5 baths, 3-car garage. Beautiful well maintained home with lots of natural light. Gourmet kitchen has plenty of cabinetry , an island with electricity and a huge pantry. Beautiful Corian counter tops, open floor plan great for entertaining. Tile floors in all wet areas. Wood blinds throughout. Outdoor kitchen/grill has electric outlet, lights, refrigerator and storage drawers. Table has optional propane heater. 6th bedroom or office downstairs. Immaculate and well kept. Easy access to I-25 and minutes to Albuquerque. Conveniently located near restaurants, good schools, shopping, theater and the new Facebook Complex.